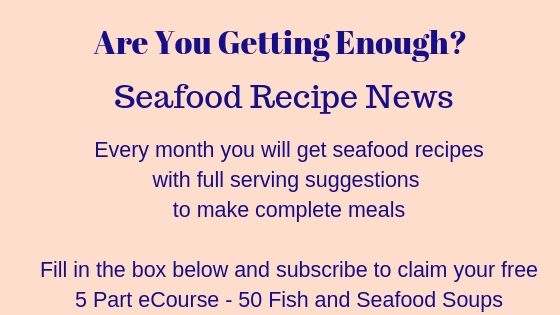 Seafood Newburg is a very rich and luxurious dish - great for special occasions. 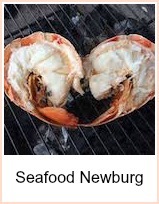 It can sometimes be spelt newberg or newburg. This is a recipe I have used which is quite authentic. You can serve it over rice or noodles. If you make it as a starter, then serve over toast triangles. 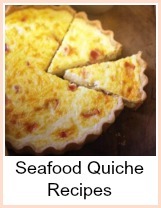 You can use it to stuff vol au vents for a buffet or use it to fill a puff pastry pie - it is very versatile. If the seafood is not already cooked, then poach very gently in some white wine - be careful to undercook, as shellfish toughens easily and the seafood is going to be reheated when combined with the sauce to make the finished dish. Drain and place on one side. Freeze the white wine liquor for a later use as a fish sauce. At this point, you might like to flame the seafood in the sherry - this is optional - but if you do, then it must only have been very lightly poached beforehand. The flambeing, does however, add a great richness to the dish. 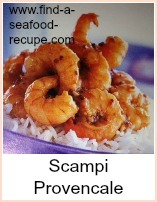 CAUTION - seafood can toughen very easily - so the minimum of cooking prior to combining with the sauce. Saute the onion in the butter - very gently, as you do not want the onion to brown, just soften. If you have decided not to flambe the seafood, then you could add the sherry to the onion mixture and reduce it to cook off the alcohol. Put the cream into a pan and bring it just up to boiling point, then beat some of the hot cream into the egg yolks. Pour this cream and egg yolk mixture back into the pan with the cream, cook over a low heat, stirring constantly until it thickens. Add the softened onions and sherry mixture. Take the cooked seafood and add it to the sauce. Heat and pour the finished dish over either hot noodles, quartered toast (toast points), pasta shells or you could place this into vol au vent cases and allow it to set, thereby creating Seafood vol au vents. 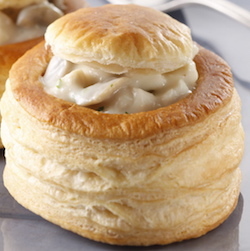 A very rich seafood mixture in a savoury white sauce can be used to stuff vol au vents or you can serve it over rice or toast.